This week’s InScope is the final issue of 2016. Publication will resume Thursday, Jan. 5, 2017. The InScope editorial team wishes all IU School of Medicine students, faculty and staff an enjoyable holiday break. Indiana University School of Medicine second-year students will present the third annual Second Year Show, "Jason Finds His Funny Bone," at 7:30 pm, Friday, Jan. 13. The event will be held at the Madame Walker Theater Center in downtown Indianapolis. Tickets are $10 for students and $15 for all others. The application deadline for the Indiana Clinical and Translational Sciences Institute postdoctoral training awards in translational research is 5 pm, Friday, Jan. 13. These awards provide promising postdoctoral fellows the opportunity to be mentored in research-intensive, multi-disciplinary settings to prepare for careers in translational research. Eligibility requirements and information about the application process are available at indianactsi.org. Junior investigator faculty interested in further developing their careers in clinical-translational research are encouraged to apply by Tuesday, Jan. 17, for the Indiana Clinical and Translational Sciences Institute young investigator awards. Awards include the opportunity to be mentored in research-intensive multi-disciplinary settings. Eligibility requirements and application details are available at indianactsi.org. High school students and undergraduates interested in gaining hands-on experiences in cancer research are encouraged to apply for the 2017 Summer Research Program at the Indiana University Melvin and Bren Simon Cancer Center. The annual Summer Research Program, held in partnership with the IU School of Medicine's Health Professions Program, places students with a mentor physician or researcher for nine weeks, June 5 to July 28. Students work with faculty who are conducting studies in the most advanced areas of cancer research. The program's primary goal is to increase the number of underrepresented populations engaged in basic, clinical, prevention and control cancer research by providing positive and meaningful first-hand exposure to those fields. Additional information, eligibility requirements and an online application are available at www.cancer.iu.edu/srp. For more information, call (317) 278-4752 or e-mail askhpp@ipui.edu. Application deadline is Feb. 28. 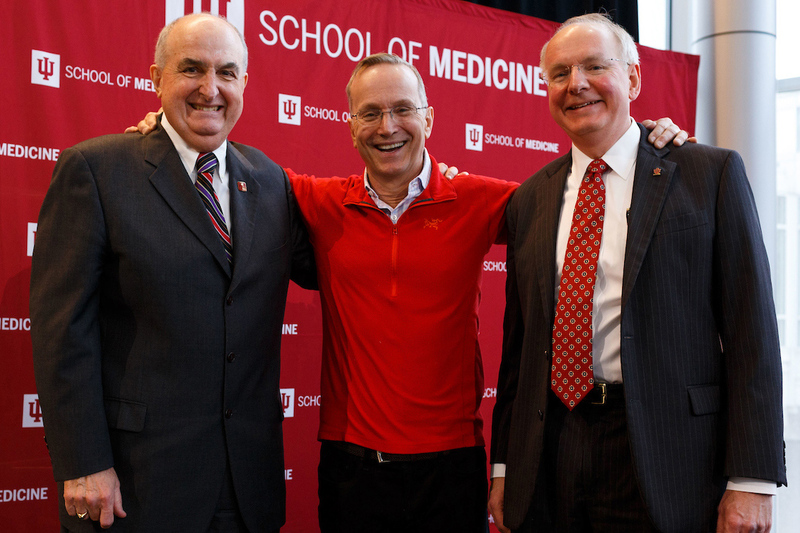 Indiana Clinical and Translational Sciences Institute through a partnership with the IU Kelley School of Business MBA program is offering business planning assistance to research cores providing a central service to CTSI investigators. Priority will be given to proposals that 1) lead to improvements in organizational efficiency, speed of service, and/or quality; and 2) have the potential to benefit other cores/units. Three to six projects will be funded. Applicants should select one or two of the following four areas for assistance: project management, marketing, financial management or resource efficiency management. A team of 2-5 Indiana University Kelley MBA students will partner with cores/units as part of their independent study program for course credit. Project duration is eight weeks. Selected cores will be expected to engage with the MBA students for initial project scope, additional follow up or on-site meetings and a final project review. For more information and application, visit indianactsi.org. Application deadline is Monday, Jan. 16.